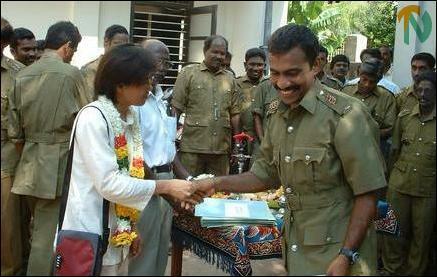 UNICEF Jaffna Field Office head Ms.Judith Bruno and Jaffna District Assistant Director of Planning Mr.S. Sivapatham Saturday handed over 39 motorcycles to public health inspectors in the Jaffna district to facilitate community actions that promote a safe and healthy environment for women and children, sources in Jaffna said.T he donation of motorcycles was made possible under the grant of 250 million rupees provided by the Government of Japan. The event was held at the office of the Regional Director of Health Services, which is located along Jaffna Hospital Road. 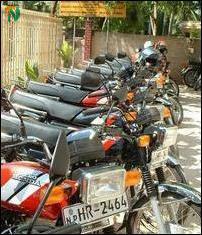 Of the 46 motorcycles assigned to the Jaffna district a39 were handed over to PHIs of Jaffna district as part of the first phase of the program. Speaking at the event as the chief guest Regional Director of the Health Services Dr.S.Sivapathasuntharam said the donation of motorcycles will strengthen the public health services to the people especially to women and children. He said earlier public health inspectors had been forced to travel by push cycles to visit backward villages to provide better health facilities to rural women and children. With the donation of motorcycles under the Maternal and Child Health Improvement Programme, which has been supported generously by the Japanese government through UNICEF, the public health inspectors of this district are now given an opportunity to discharge their duties effectively, Mr.Sivapathasundaram said. 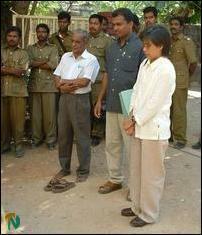 He appealed to the UNICEF to provide more assistance to the Jaffna health sector. Dr.Lugumar, Deputy Provincial Director of Health Services presided. Jaffna Municipal Commissioner Mr.Ramalingam, Dr.Sivaraja of World Health Organization (WHO) in Jaffna and Mr.Arulrajah Sriskandararajah of UNICEF also participated in the event.